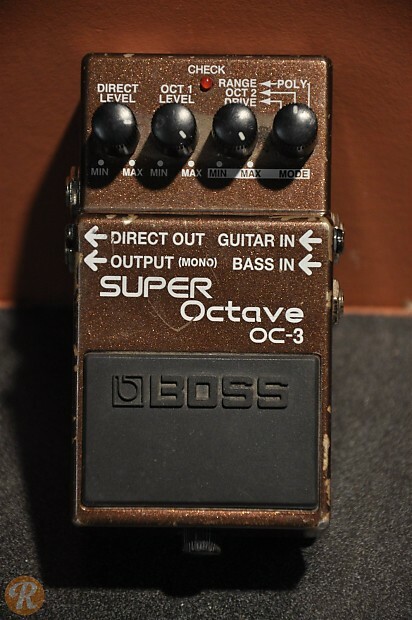 The Boss OC-3 Super Octave is an octave pedal that contains modes for the original OC-2, which allows for one and two lower octave notes, as well as a Polyphonic mode and Drive mode. Use the Direct, Octave 1, and Octave 2 knobs to control your sound. The OC-3 has been used by artists like The Black Keys, Van Halen, and Tony Iommi.